Among the many things I am grateful about my relationship with Renata is that she is mostly an unfussy eater. From the very first time I cooked for her (when I was still in my vegetarian phase) to this day, few were the times I have heard her complain about anything I have made – which is refreshingly different from, well, pretty one everyone else I have been around. Sure, there are a few things she isn’t crazy about, and I try to use them less than I’d like (okra is one), but overall she is always curious about discovering new flavors. 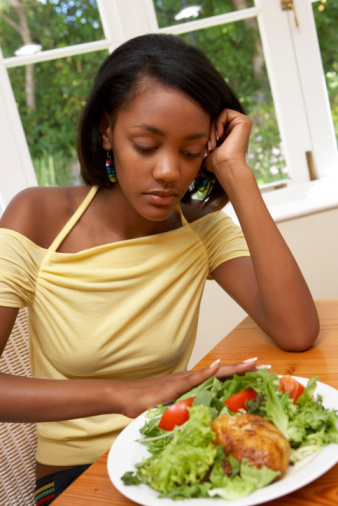 As I wrote a few posts back, I grew up around people who were incredibly difficult when it came to eating. “No dark meat for me,” “No onions please,” “I hate cumin” were things I heard all the time while as a kid, and I felt sorry for Cecilia, the woman who cooked for my grandmother’s extended family, because she had to customize each dish to everyone’s whims. So when there was roast chicken, she had to separately sauteé the onions because my grandfather insisted on them while my cousins turned their noses in disgust. As for me, there were things I did not like as a kid (we’ve all been there) but I grew into them as I got older, and by the time I was a teenager I was pretty much an omnivore. Sure, there are things that I cannot really stomach, such as buchada , which is a tripe-based dish that is known in Dominican Republic n as mondongo, or my mother’s personal favorite “peixe à delicia” (a layered baked dish made with coconut milk and sweet bananas – not plantains, but actual bananas) but I don’t make a fuss if there is nothing else to eat – actually just last time I was in Santo Domingo I did sample a little bit of mondongo just to remind myself why I do not enjoy it: it is the weird smell that emanates from it plus the rubber-like consistency of some of its ingredients. My relatives haven’t changed much – I remember that one of my cousins looked at the vegetarian Chinese dish I made last time I was there a couple of years back and asked me what I had put in it (“Just vegetables, cousin, relax”) while she carefully spooned a small morsel on her plate. And then there was the time that I took a bunch of students to a Korean restaurant close to work and some of them looked around, made weird faces and simply walked away or politely chewed on salad as they wondered what the heck we were all eating – while still not willing to try anything. I think being open to new food opens vast horizons. Since I landed in New York, I have learned so much about dishes from Korea (chap chae, anyone? ), Southeast Asia, Eastern Europe (especially – and obviously – Poland), the Middle East and others. My shelf is filled with cookbooks from all over the world, and I often look through them to find something to do for our Sunday dinner. While I do avoid red meat (something I have discussed in earlier posts), I do try to keep an open mind at times because some ingredients simply cannot be replaced. For instance, there is no way you can make pasta carbonara with turkey bacon and get the same result (have not tried with tofu bacon, and I don’t think I ever will) . Trust me, it just does not work. You can make Polish bigos (look up past blogs) with turkey sausage, though. And no, you cannot substitute dende (unfiltered palm oil ) with olive oil, because for dishes like moqueca, that is where the soul of the dish is. Unfortunately, there is no real solution for picky eaters except for maybe allowing them to go hungry if they give you a hard time when invited to eat at your home – but with my Portuguese (and Jewish) blood, I can’t let them do that – instead, I just guilt them into eating. “But it was so much work to do this, why don’t you at least try? It was really made from the heart.